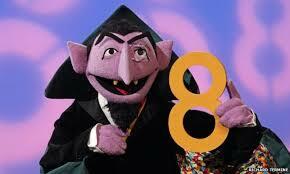 April is for counting bikes! 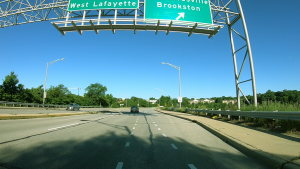 This is the third year of counting bicycle traffic in the Lafayettes. 2019 counts begin April 16 at 21 spots from 7:00 to 9:00 am or from 4:00 to 6:00 pm. 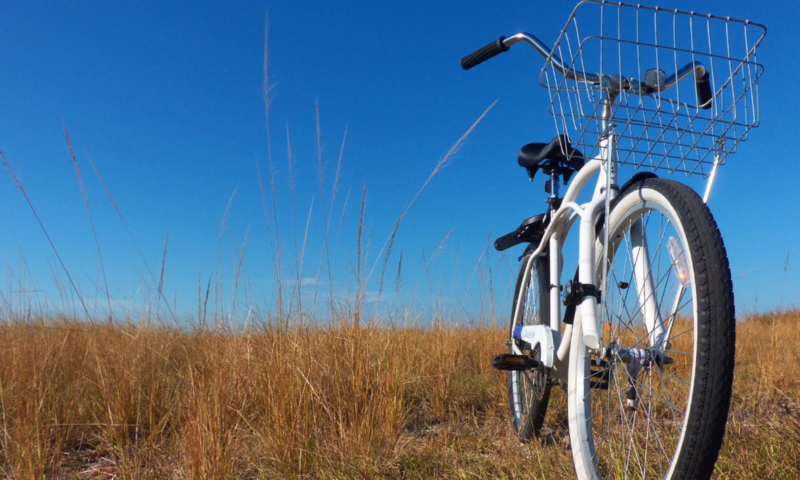 Plan to count on Tuesday, Wednesday or Thursday if the weather is decent for cycling. If that is not possible you may count Tuesday, Wednesday or Thursday of the following week. Thursday, April 25 is the final day to count. Please sign up to count. Volunteers receive a $30 gift card to one of the local bike shops in recognition of their service! The Harrison Bridge is a contentious strip of road to cycle on. 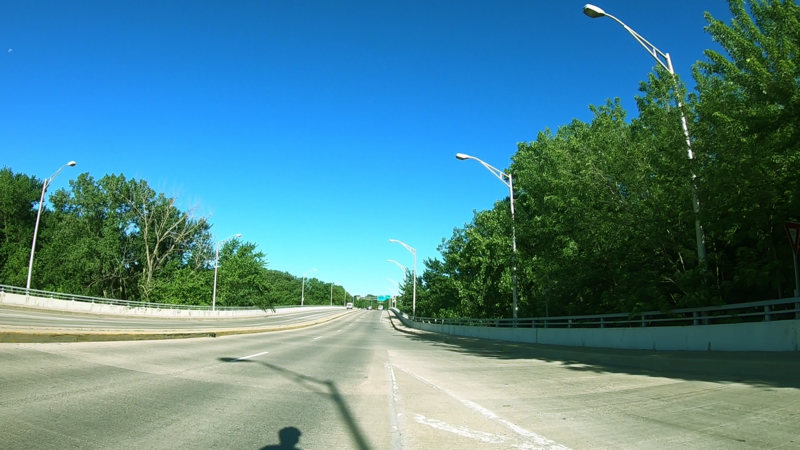 Connecting Wiggins and Fowler Street on the West Lafayette side to Salem and Union in Lafayette, it also has onramps for River Road, Canal Road, and 3rd Street as well. 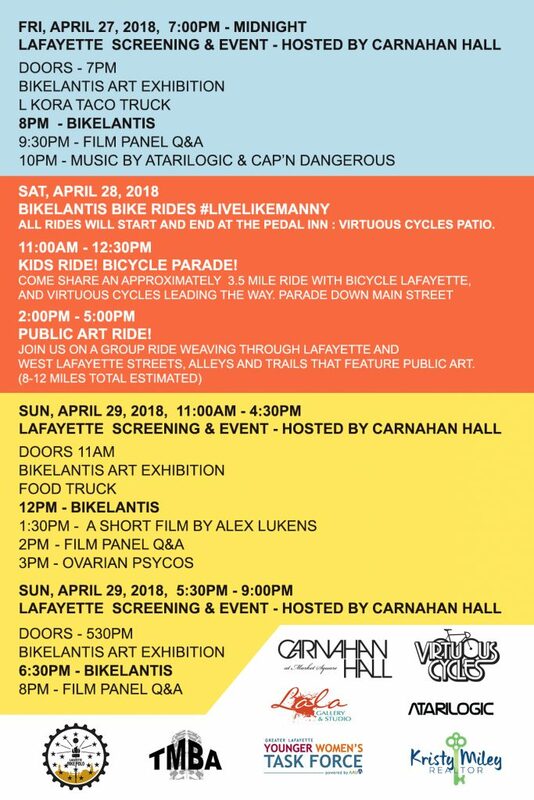 A vehicle collision with a cyclist in 2015 galvanized the community and inspired a “Take the Lane” event in response . 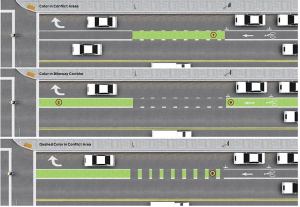 It was restriped last year to help delineate a bicycle lane along most of its length, but there are still some things that the cities and county can do to better accommodate cyclists. 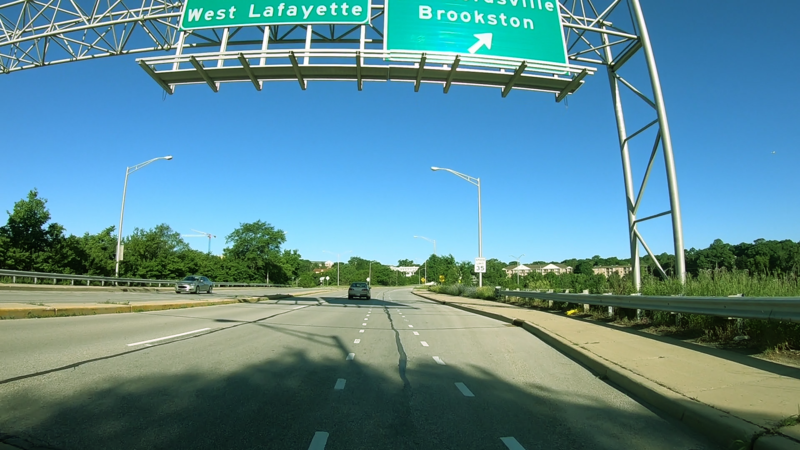 Heading toward West Lafayette from Lafayette, about 1100 feet from the Fannon Drive light, an onramp from Canal Road feeds onto the bridge. The vehicles have a yield sign, but no indication that there is a bicycle lane. 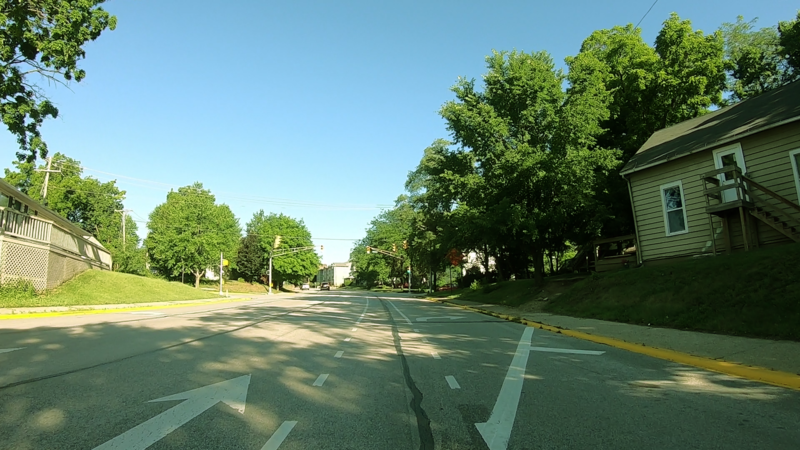 and a turn lane onto Salisbury or continuation to the intersection with Northwestern Avenue. About 1/3 mile from the turn onto the bridge from the Wiggins/Salisbury intersection, the onramp from River Road crosses the bicycle lane. The vehicles have a yield sign, and a long runway to pick up speed and merge. 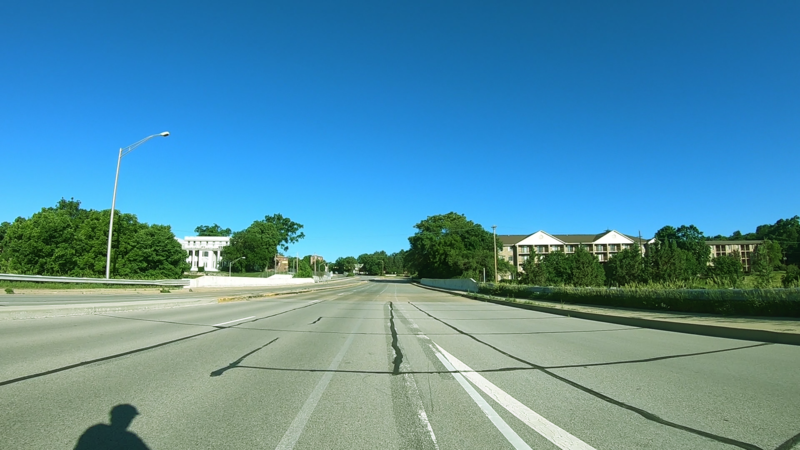 Finally, a sequence of offramps and a slight incline at the end of the bridge introduce a lot of potential conflicts with vehicles. 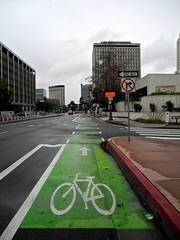 The Urban Bikeway Design Guide from NACTO notes that the color green can be used to highlight conflict areas. The onramps on either side of the bridge could be marked with dashed green paint. 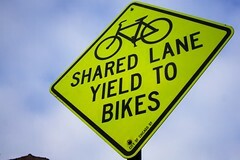 A “Yield To Bikes” Sign should be used at intersections or driveway crossings to reinforce the bicyclists have the right-of-way at colored bike lane areas. 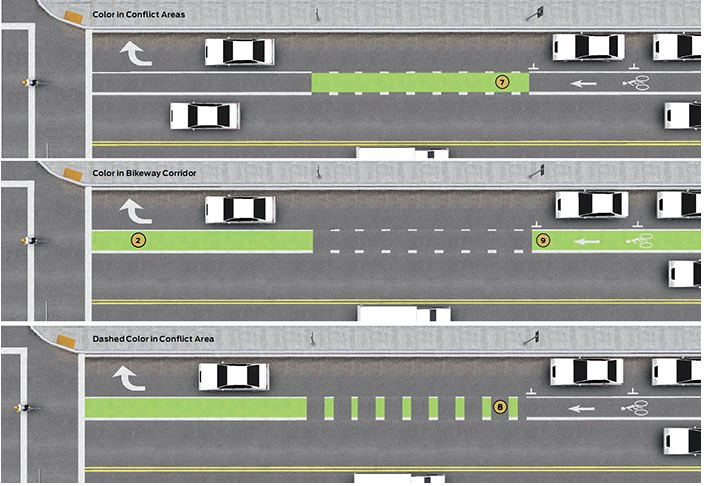 This would be most useful on the final 1100 feet eastbound, where the Canal Road and 3rd Street offramps have a high potential for conflict between cyclists and vehicles. 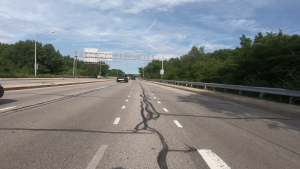 Finally, speed enforcement on the bridge could lower the speed difference between cyclists and cars; although the posted speed limit is 35MPH, most vehicles go well above that heading down the hill from Fowler. Get these events on your calendar through Facebook or our Events list. 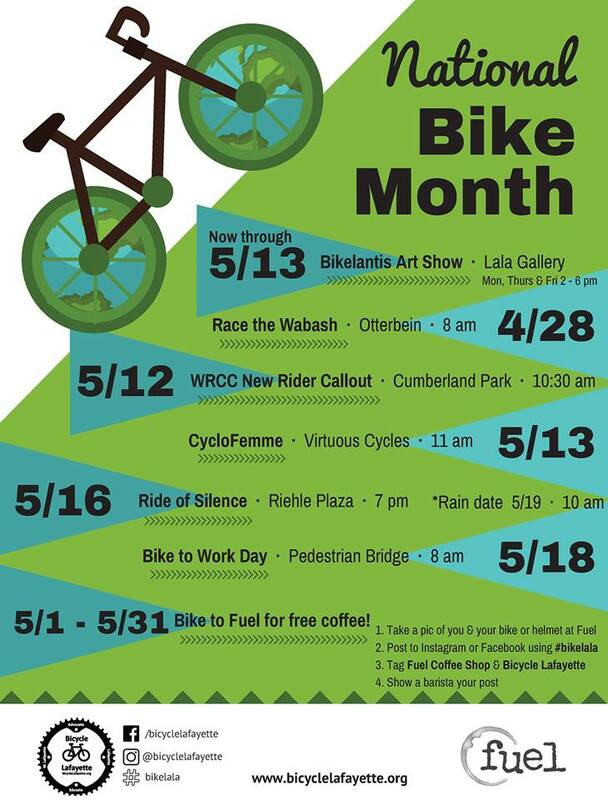 Bike with Greater Lafayette this Spring! Come on out for Spring-time events!